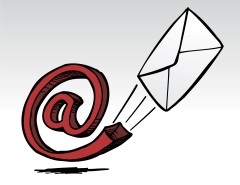 Your email is never shared with others - you can opt out any time. Neglected Your Body FAR Too Long And Now You're Having To Pay The Price? 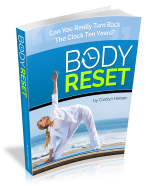 Are You Tired Of Waking Up To A Body That Now Robs You Daily Of The VITALITY And SENSE OF WELL-BEING That Once Came Without Effort? Us - And Then Offer To Show You How To Reliably RESHAPE Your Body, RECLAIM Your Health, And Finally Take Back The Life You DESERVE. AWAY the excuses that have been compromising your health. The Good News? You've Just Stumbled Onto The Culmination Of More Than 30 YEARS Of Experience In The Fitness Profession - Time I Have Spent Teaching Others How To Get Into Peak Physical Shape WITHOUT Having To Diet Or Otherwise Deprive Oneself Of Life's Simple Pleasures. For 5 months of the year we are volunteer lifeguards so we need to keep in shape and ready to go at a moments notice, but as the years have progressed we have got lazier and noticed the extra kilos stacking on. Every year we have to pass a refresher exam and we both noticed that this was becoming harder and harder to achieve. Now that we are both nearly into our 50's we needed something to keep us going. 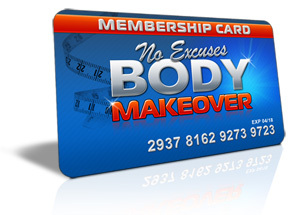 Step in the No Excuses Body Makeover program. Along with the healthy eating plan and the exercise plan we have both been able to lose those extra kilos. (John 12kg, Paula 8kg). Thanks to Carolyn's plan we now have the strength to be motivated to still able to do this worth while service. 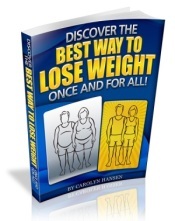 Losing weight is easy when you know how, but knowing how is the secret. I've tried every crash diet known to man, and prior to discovering the No Excuses Body Makeover program I was ready to resign myself to the fact I'd be a fat chick for life. Thankfully a friend found me at my lowest and encouraged me to read the "The Best Way To Lose Weight" report. That really was the turning point for me, a light switched on in the far recesses of my brain and I realised I did have the power to be who I wanted to be, I just had to believe and be prepared to study to understand the principles of weight loss and the mechanics of fat burning. I knuckled down and am delighted to report that I've lost 76 pounds and I'm leaner and healthier than ever before. Hello, my name is Carolyn Hansen and with this site I have gone and done something I never dreamed I would do. All of my products, all of my experience as a health professional, former body builder title-holder, and personal fitness coach - I have poured it all into ONE all-encompassing membership site. I am making it ALL available to anyone whose goal it is to CHANGE their body shape and gain both a renewed sense of well-being and the total satisfaction that comes from knowing you have turned a corner in your life for the better. Much better in fact. And you can get there simply by implementing an approach to your health unlike any other health membership program out there. How can I be sure? Because I built my program from scratch to ensure that every aspect of a successful and long term fat loss plan would be fully covered. But more importantly, I had to first learn from the mistakes of my clients as they went about their lives adopting the kind of unhealthy habits that you too have likely been practicing for years, quite oblivious to the toll they have been taking on your overall state of physical and mental health. I had to see for myself the hardship people inflict on their bodies - purely as a result of ignorance of the way they work - before I could successfully devise a plan of action that was able to repair the damage and get them back on track for a life unburdened by the chronic health problems that have beset so many of their friends, family, and others around them who cling to a common but devastatingly destructive misconception about their health - one that I am about to share with you now. The truth is, every one of us is literally predisposed from birth to suffer poor health because of an evolutionary quirk of fate that is now causing massive disruption to the lives of everyone born within the last one hundred years. What is this quirk that is silently undoing the lives of so many people today? See Our Future Through "Rose Colored Glasses"
Recent scientific studies have shown that we are programmed to be WILDLY OPTIMISTIC about how things will pan out for us. This is a survival mechanism that grew out of a need to be able to ignore information that suggests failure, rather than success, is the much more likely outcome for any venture that offers a significant payoff. We have a built-in bias for pure optimism. It is the same mechanism that erases memories of the pain of child birth, and has a woman looking forward to repeating an experience she swore she would never endure again. It is the mechanism that allows men to don battle fatigues and head to the front line while promising to their family - and believing it - that they will return. In these cases, optimism proves to be hugely beneficial by helping us to face the future. But it can also be the cause of serious miscalculation, making us less likely to bother with medical checkups. We absolutely fail when it comes to accurately assessing the state of our own health. As an example, we are 500 times more likely to believe that we will live to the age of 100 years than our ancestral and personal medical history would suggest. 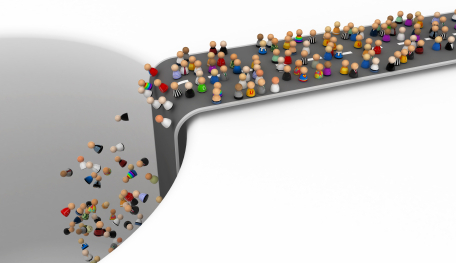 By any measure, this is a stunning miscalculation of the reality of our personal situation. True, from an evolutionary point of view, being born with a brain that tilts overwhelmingly toward the positive has been really useful. But as far as our health is concerned, the "everything will be fine" attitude has recently become our undoing. In the past 100 years or so we have radically changed the nature of our nutrition, moving from a high protein, high fat diet to a high carbohydrate, high fat diet. In doing so we have dramatically altered the composition of the "fuel" our bodies have become accustomed to over a period of 2-3 million years. The result? Rapidly escalating rates of obesity, high blood pressure, coronary disease, and cancer. Our bodies are morphing for the worse under the assault of our modern-day high-calorie, low-nutrition diet. 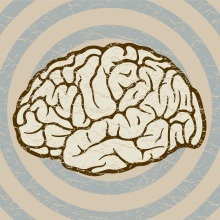 But our BRAINS have not changed at all. We are still wired to think our future will be bright, and that our health will perservere. In short, we are programmed to ignore the warning signs and continue on as though nothing has changed, when in fact the projected outcome for the latter part of our lives has CHANGED COMPLETELY, and not for the better! I am totally serious about this. Right now, as you read this page, you may be sitting at a chair in front of your computer nursing layers of belly fat that you regard as unsightly, when in fact carrying around excess abdominal fat is like harboring a corrosive battery inside you. That fat is silently leeching away at your internal organs, setting you up for massively disruptive chronic health conditions that can strike in later life and rob you of your mobility, your freedom of choice, your ability to simply enjoy life - and in exchange leave you dealing with pain and suffering, mounting medical bills, and a bleak outlook on life. Ironically, this is when your brain finally acknowledges that your prospects are not so great - when it is too late to do anything about it! This is why it is important that you recognize, while you still can, that all the EXCUSES you come up with for putting off the task of attending to your health today, are just manifestations of your inherent reluctance to accept what might befall you in the future. Excuses and unquestioning optimism are two sides of the same coin - one that has served you poorly and helped to delay you from moving toward the body you NEED to see you through your remaining years in the best possible health. Between you and me, I have been at this game for a VERY long time, so I know what works and what does not when it comes to retraining your body to accept the nutritional and physical stimuli needed to rebalance your metabolism and get your body into the fat burning zone that is vital to shedding the excess pounds of fat that seem to cling stubbornly no matter what you do. You have probably heard this several times, and even discovered for yourself that your own efforts at dieting to lose weight and keep it off never produce the results you are hoping for. What you NEED is a plan for exercising and eating healthy that does NOT require you to make big sacrifices to get somewhere - a plan that you can implement for the long term. Well, I have just the blueprint you need, and I have wrapped it up in a membership site that will feed you the information you need at a rate that will never overwhelm you. designed for people ready to make BIG changes to their body & health. As a member of my No Excuses Body Makeover program you'll begin receiving scheduled emails and special reports right to your inbox. I knew when I sat down to create my No Excuses Body Makeover program that I wanted to make sure people did not drift off and forget why they signed up in the first place. It's easy to get distracted. I know that, which is why I locked myself in my room and did not come out again until I had created six whole months worth of information-packed emails to help pace you on your "No Excuses" journey. You'll get the first message the day you sign up, and then every few days I'll send you new information, sometimes with a special report attached, but never too much information for you to digest, and always with useful tips on how to go about achieving the goals I lay out for you in the program. In At No Extra Cost To You! I am a dyed-in-the-wool fitness fanatic. That's never going to change, and I'll be creating products to help people get into shape for the rest of my days. As a member of my No Excuses Body Makeover program you'll not only get access to all of the best material I have created in the past, you'll get access to my NEW products as well. Call me crazy, but my goal is to have you stick around for the longest possible amount of time so that you get the best results, and if I have to throw in my new products for FREE to help convince you to keep coming back, I'll do it! Of course, I DO have a large incentive for wanting to be generous. I want to give you so much value that you send me your testimonials. This way others will get to see that my No Excuses Body Makeover program really does get results. So here is a sample of the products you'll be given access to in the coming months, some of them rewritten exclusively for members of this program. 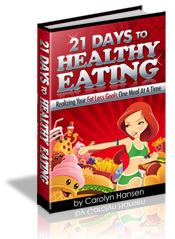 When I created my book 21 Days To Healthy Eating my goal was to make it easy for you to quickly begin to experience the health benefits of eating clean unprocessed foods. The course emphasizes a "one meal at a time" approach that makes the day-to-day decision to eat for health something that is easy to stick with for the long haul. I have been so happy with the way this product turned out that I have brought it over into the No Excuses program, unchanged. You can make real changes to the way you eat in just 21 days, or implement the course entirely at your own pace. While nutrition is the key to stimulating fat loss, it is exercise that will allow you to reshape, tighten, and rejuvenate your body. 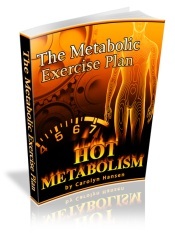 I have taken the exercise plan component of my flagship product Hot Metabolism and completely rewritten it for the No Excuses program. You'll discover why strength training is vital to stimulating your metabolism, so that the results you have begun to achieve through proper eating habits are now supercharged and allow you to burn fat not just during the hours you spend exercising at the gym, but around the clock. Nothing is sexier than a flat stomach. It is the mark of true health in an individual and it sets you apart from the pack. 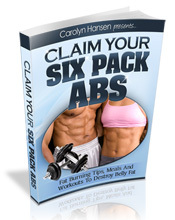 So if you have been wondering what it takes to peel back the layer of fat on your midsection, and start drawing eyes wherever you go, Claim Your Six Pack Abs is your ticket to the high life. Sure, this is not for everyone. But if you have been afraid to break out the swimsuit and summer is just around the corner, well, you have probably left it too late to be showing up sporting your own six pack this summer. But next year? Watch out! Next to a flat stomach, which you'll rarely ever get to show off anyway, hot shapely legs attract so much attention on a woman that you may not dare to implement the strategies I have laid out in this workout manual for the ladies. You get the same workout plans I used to develop legs that not only captured the attention of men everywhere I went, but helped me take home titles from physique contests on many occasions. Whatever level of development you want for your legs, I have it covered. This has proved to be one of my most popular books. 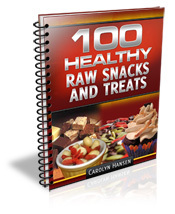 Perhaps not all that surprising when you consider that we all love to eat - especially the kind of mouth-watering treats that I provide recipes for in 100 Healthy Raw Snacks And Treats. These are not low carb snacks, but they ARE good for you - completely devoid as they are of unhealthy processed ingredients, like sugar and flour, which form the backbone of so much of the tasty treats we indulge in today. I'll show you how to make healthy treats in your own kitchen, and without having to do a lick of cooking. You'll quickly learn in the No Excuses Body Makeover program that one of the primary mistakes people make today with the foods they eat is that they undervalue PROTEIN and eat far too little of it. 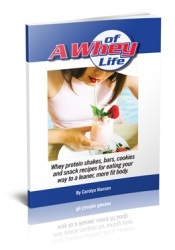 In A Whey Of Life I show you not only how to utilize whey protein for putting together healthy smoothies, but you'll get recipes for HIGH PROTEIN SNACKS that you can feel good about eating. I am talking about making cookies and bars that you can use to replace all of the sweet snacks you thought you would never be able to give up. Trust me, this is the way to conquer your cravings! This is actually a FREE report that I have made available to everyone whether you become a member or not (there should be an opt in box somewhere over to the right of this page). Inside The Best Way To Lose Weight I outline the principles of fat loss that I have refined over the years. I teach the very same ideas to my personal clients and as a member of my No Excuses Body Makeover program you will be exposed to these concepts again and again, until they become second nature. Of all my special reports, this one is my personal favorite! Now food and meals are no longer an issue for me. I achieved exactly what I wanted, I could stop going to Weight Watchers, yet still manage my weight and I steadily gained the insight and tools to stay in control when I am surrounded by food. Diabetes, Obesity and High Blood Pressure all run in my family and are just a few of the avoidable health problems I've now saved myself from. Regular exercise and good nutrition can help prevent your body from acquiring these conditions. I highly recommend a "No Excuses" lifestyle. It feels great to do and it is easy to stick with. I discovered Carolyn's Healthy Eating plan last year, when I noticed a friend successfully losing weight, I asked her her secret and she told me about the "No Excuses" plan. Feeling really low about myself I decided to give it a go and I haven't looked back. It's really easy to get into, I feel energised each day and I am having so much more fun outdoors with my kids. Now that I have a clear understanding of these principles of weight loss (through fat burning) I can't believe I didn't see it before and I have no wish to go back to being that unhealthy person I was a year ago, with low self esteem and constantly grumpy. To reach my perfect weight I still have a few pounds to go, but I know I can do it. One of the best things about this is how happy I feel each day. Life is great again! I have made the commitment to do this for myself and I feel that I will be very successful. If you think you like what you have seen on this page, why not come and check out what I have waiting for you on the inside of my No Excuses Body Makeover program? There is absolutely NO RISK to joining me today and finding out what it takes to put behind you the hardships of living with a body that is simply incapable of making you happy. My goal is to change that and have you start to feel the way you did years ago. It doesn't matter your age or your gender. It is NEVER too late to begin getting into shape. We are all given just one body to get us through this wonderfully complex journey we call life, and how you treat your body today will determine how long you can hold onto it and how much enjoyment it can provide both yourself and your family members who depend on you so critically. Fat loss strategies that work - Everything I have learned over the last 30+ years, including hard-won secrets that helped me take national body building titles. Access to my products - You get ALL of my best content, delivered to you when you need it and not a moment before. I'll even be including NEW titles yet to be released. Motivational emails - People seem to love these precisely times message that are designed to keep you on target for your body makeover. These are the kinds of emails you'll look FORWARD to receiving! Thanks agin for stopping by and checking out the site. I am looking forward to meeting you and helping you in any way I can. You'll find the sign up button below. See you soon! When you sign up below you will receive a trial membership and be charged just 4.95 for 7 days access to the No Excuses Body Makeover program. Unless you cancel your membership by the end of the trial period you will then be billed $27 monthly, in advance, from that point on for as long as you continue to remain a member. You can cancel at any time. Are You Still Sitting There Wondering Whether Your Health Is Really Worth The Effort Of Signing Up Today? Listen, everyone takes their good health for granted until it is suddenly gone and there is little they can do about it. It's that Optimism thing kicking in again. I've done my best to show you how destructive this kind of thinking can be, but I know it exerts a powerful influence over all of us. Plus if you click away now you can save a few dollars, right? Well, that's actually a perfect example of the truest kind of false economy, because for every dollar you might save today buying cheap convenience foods, rather than the slightly more expensive but nutritious foods you know are out there, and crossing your fingers rather than implementing a solid plan to get your health back on track - well, it is all going to cost you a LOT of dollars in the future when the medical bills start coming in. 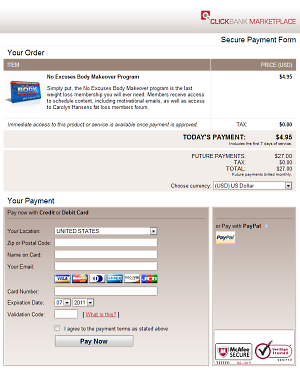 If you like, think of my No Excuses Body Makeover program as a VERY CHEAP form of health insurance. Sadly, you probably have family members right now who are paying the price because of all the BAD information (or NO information) they received over the years about what to do to prepare themselves for a longer, fuller, and more enjoyable life, free of the suffering they may have brought upon themselves simply out of pure ignorance. Well, that doesn't have to be YOU. Not if you come join me today. If at the end of that time, if you don't think this is for you, then simply cancel and you will get your money back in full. PLUS - If you secure your place today you won't have to worry about coming back to this page tomorrow or next week only to find that I have "closed membership until further notice". If that should happen, you'll still be able to put yourself on my waiting list, but you'll be happier if you never have to wait - especially as I am not able to say for how long the doors might be closed. Members will need to leave before I can re-open the doors again to fill their spots. © Copyright 2010-2019, Sustainable Fitness Solutions. All Rights Reserved. Informational material found at the No Excuses Body Makeover website is provided for educational and informational purposes only and is not intended as medical advice. The information contained within this website should not be used to diagnose or treat any illness, metabolic disorder, disease or health problems. 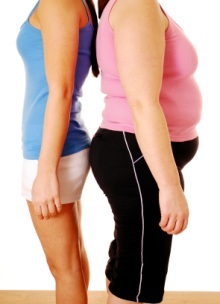 Always consult your physician or health care provider before beginning any nutrition or exercise program. Use of the programs, advice, and information contained in this website is at the sole choice and risk of the reader. All testimonials found on this web site originate with a real customer. All testimonials were unsolicited and no one was paid for their endorsement. The results may not be typical.